Last Wednesday I worked in the Artwrap stand at the Life & Style Fair. It was a great day with plenty to look at and there were some fabulous people there too. 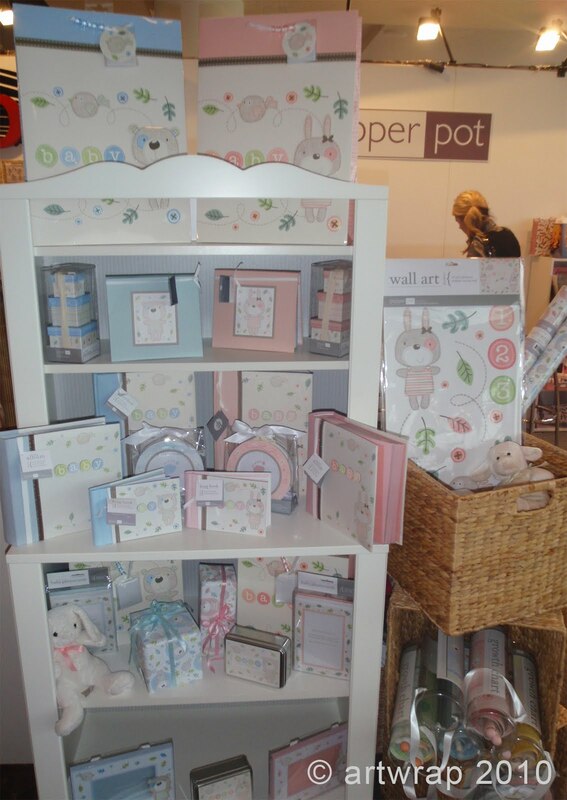 Here's the display at the fair of the Bonnie Bunny and Brambles Bear Baby range I did for Pepperpot YAY! Products for both the boys and girls ranges include: Photo Albums, Deluxe Brag Books, Brag Books, Record Books, Growth Charts, Tin Notecards, Trinket Boxes, Photo Frames, Baby's First Print Kit, Wall Stickers, Photo Cards, Gift Bags & Wrapping Paper. These are all very cute! I use to work for International Greetings USA for about two years.